Last edited by texkev; July 7th, 2017 at 08:40 PM. Here's my Fulton FAR-15. I still want to put a better scope than the 6x32 Leapers I have on it now. It will bust clays at 100 yards all day long, but I just want something with 4-12 magnification. Im also going to swith out this beretta bipod for one that swivels. Maybe a drop in trigger when I get an extra $200. All in all it's one great and fun rifle. 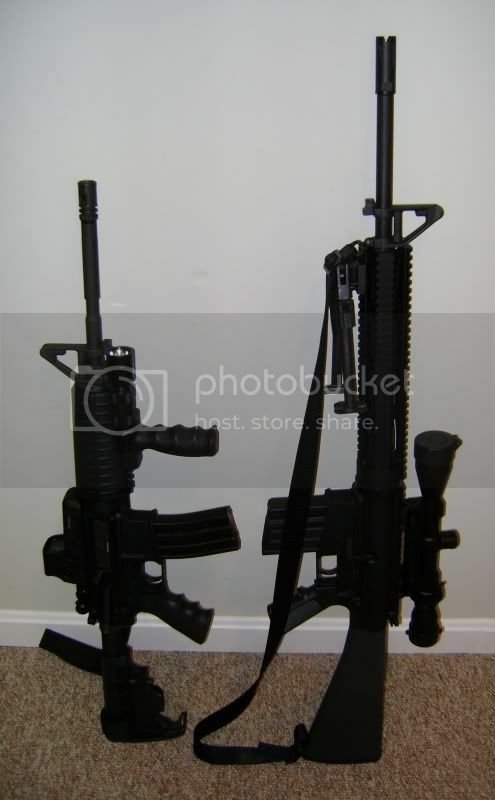 9.25" SBR'ed RRA 9mm w/ HK 416 Sights, TROS HK Style 3 lug barrel, DD 7" M4 Series Rail and Vortex Flash Suppressor. Don't know what this one will be yet. 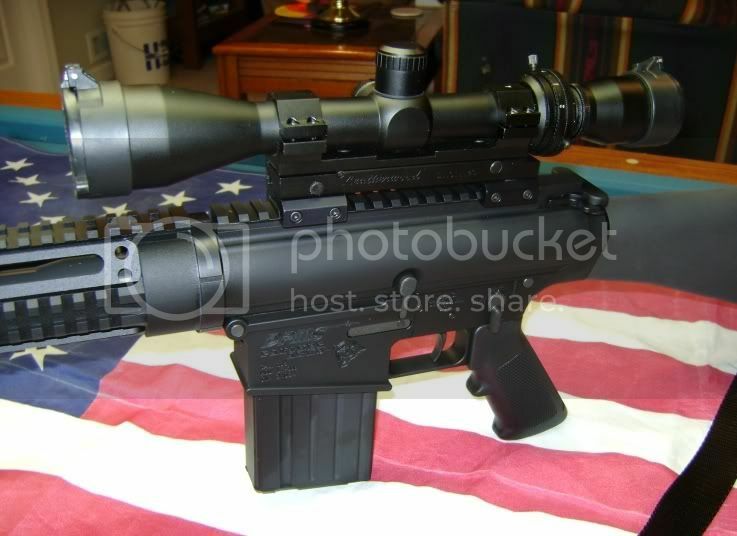 I am thinking about a 18" midlength w/ a 12" DD Lite series rail and a Leupold 4.5-14x50 LR/T M1 in a LaRue SPR mount. But that's down the road. Last edited by JeepDriver; April 10th, 2008 at 09:32 PM. What can I say, I love my AR's! 3 SBR lowers - still working on the uppers...2 POF 415's and a POF 416. One Nodak Spud 16A1 to go with my M16A1 upper. I'll get pics of the RRA Entry Tactical and RRA 9mm when I feel like digging them out. I want to add a Nodak Spud XM16E1 sometime to finish another build that I actually have some parts for. 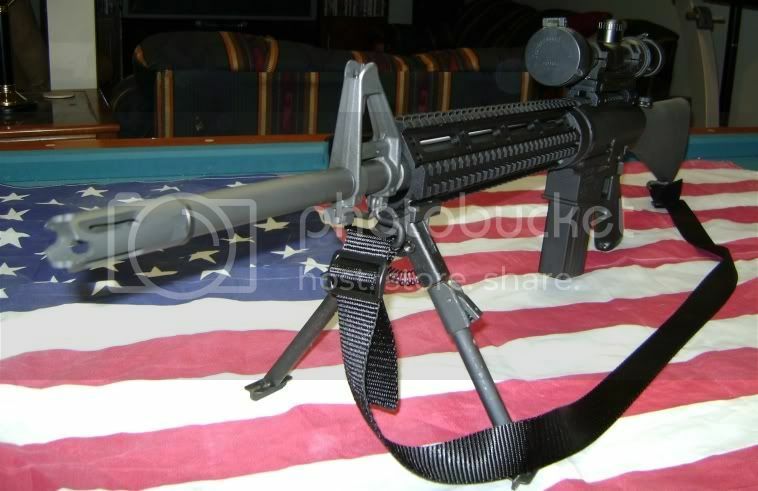 I love the POF lowers for SBR's, maybe one more for a SPR build. Once again.. Zombies outbreak, Jeeps house is rally point Alpha. 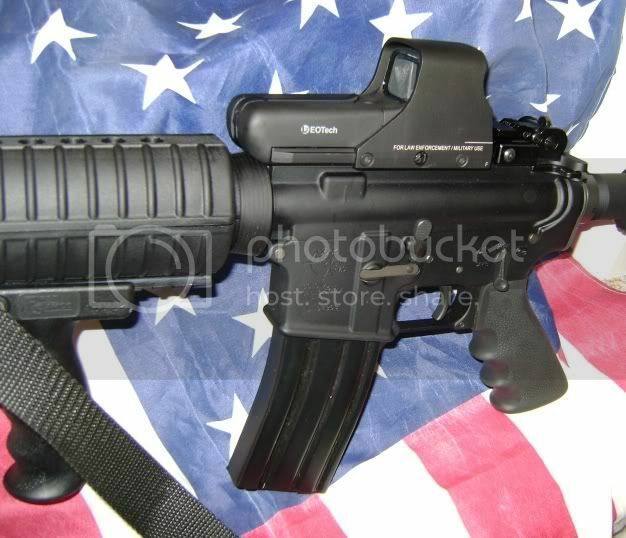 AR-15 Original "M-16 style", but on a Fulton A2 lower. Slickside upper, early model furniture. Most old parts from Sarco, upper from Fulton. I'll have to come back and add a couple more pics later. I don't have pics of the 9mm carbine, the 7.62x39 or the varmint rig, and I think I have another HBAR in the safe.